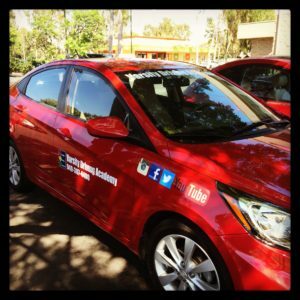 When students set out to learn how to drive and do it safely, they need only turn to Varsity Driving Academy. As a #1 rated driving school we take each student seriously and teach defensive practices that help ensure a safe driving experience. Feel free to browse around our site and get a little feel for what we can do for you. Below you’ll find some descriptions of a few of our main services. Even further below are a few important links. Welcome to Varsity Driving Academy Cypress High School Driver’s Ed! We want to take as much stress out of the entire process as possible and one way we do that is offer a free pick-up and drop-off service for training sessions. Classroom learning is a traditional way to learn to drive and we respect the value of having options. For students who feel they do better in a classroom setting, we offer our services in that traditional manner. Here, you will get taught by a certified and trained trainer who can answer all of your questions. We follow the requirements of the DMV and take every last hour they require and use them to our advantage. Not every student can adhere to a classroom schedule and that’s why we also offer our lessons online. Through our online course, students get the same lessons as they would in the classroom, but on their own time. All a student needs is to sign up for their preferred package, create a username and password, and then get started. The online option is perfect for students that live a busy lifestyle that is hard to stray from. Here, students can log in to get some learning done, then log out to go to class, practice or even work. When you have more time, log back in and progress even further. It’s as simple as that. Behind the wheel training is where good habits are formed and bad habits go to end. We think that students need to have one on one time with a trainer in order to feel confident enough to make a mistake, ask a question and progress in a safe way. 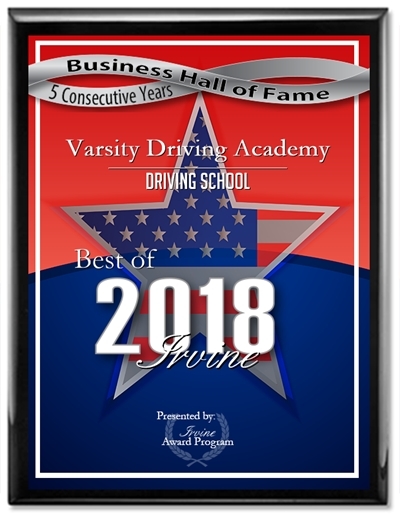 Our goal is to make safe, defensive driving second nature in every last one of our students. Our first behind the wheel training session will validate the driving permit received by the student. Any good practice knows that options are the key to success and we have many different options. These options range from more behind the wheel training hours to a more concierge-like service. That concierge service is known as the DMV Package. With this package, we take even more stress away from the student and handle appointment setting and the DMV for them. Even further, we will pick-up students before their final test, take them to the DMV and hand them the keys to our car to take the test. Feel free to contact us and ask any question you may have at (949)-387-4400. Our vehicles are handpicked to create a safe learning environment for everyone. Top safety rated vehicles are what we choose and we have them regularly inspected to ensure that safety.